It takes more than just a prime location and great value to make a good apartment. While location will always be one of the most important factors when selecting an apartment, you need to look further than the address, the size and the price to ensure you’re choosing wisely. Benville Court, managed by Gold Seal Management Inc. and located in the Finch and Weston community of Emery, is a perfect example of a wise choice. Starting with the location, 2441 Finch Avenue West and 137 Lindy Lou Road, the community is on the transit line with 24-hour bus service very close by. Highways 400 and 401 are easily accessible to this area making it an easy drive anywhere across the city. The buildings are situated on a quiet side street, with beautifully landscaped grounds. There are a wide variety of family amenities, including a community centre, public parks, schools and shopping. From groceries and necessities to specialty items, everything is close by. Priced well, the building offers a wide variety of apartments, from tidy one bedrooms priced from $879 to the large and much-sought-after three-bedroom suites priced from only $1,069! While the price and location might seem like a good enough reason to sign on the dotted line, Gold Seal Management Inc. goes much further to ensure resident comfort and satisfaction. Benville Court Apartments is part of the Federation of Rental-housing Providers of Ontario’s Certified Rental Building (CRB) Program. The CRB Program sets high standards for maintenance, training, education, property upkeep, resident satisfaction and customer service. Buildings are regulary audited by a third party to make sure they are upholding the rigorous standards set out by the CRB Program. Adherence to the CRB Program is a must, and this certification is quality assurance for any prospective tenant that the building will be well run and will offer top notch customer service. As well as managements great standards and training, Benville Court is very well maintained. The buildings have been renovated, fitted with new elevators and are newly decorated, giving a fresh, modern impression. Suites have been upgraded and renovated. You’ll find updated elements like new windows, new ceramic tiling, refinished hardwood floors and fresh paint. You’ll also find modern kitchens with up-to-date appliances and ample cabinetry. There’s plenty of storage and a exceptionally functional food preparation space. One impressive element of these suites are the generously proportioned bedrooms that offer lots of closet space – quite a rare find! Buildings have onsite management staff and 24-hour emergency maintenance, with the emphasis on ensuring resident comfort and satisfaction. Friendly and well-trained, Gold Seal Management Inc. is known for their exceptional customer service and management finesse. 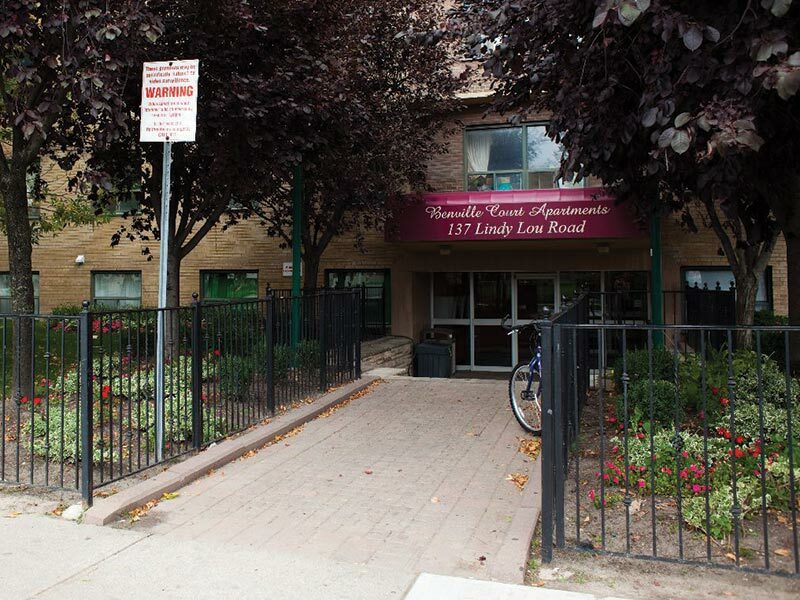 They put the needs of residents first and focus on maintaining a well-kept building while providing an open and approachable environment for residents who need assistance or issues address. They strive to make Benville Court not just another piece in their management portfolio, but a home with real people who have real needs to be met, who deserve a comfortable place to call home.